« Can you do PTMC in the presence of LA clot ? Cardiology community is notorious for being sarcastic! Its very unprofessional of a senior cardiologist to make fun of another cardiologist, wondering how he interacts with his patients! Humanity, professionalism and politeness are no longer discussed in many parts of the world, may be because its no longer commonly seen and expected. Be a little Munna Bhai rather than sporting a Top most Cardiologist..I am what it take to be one but little politeness would do wonders to our profession!!!!! I do not agree with the reaction of a senior cardiologist. Saying says that there are no silly questions but just silly answers. It is a mistake that old doctors take certain facts for granted. 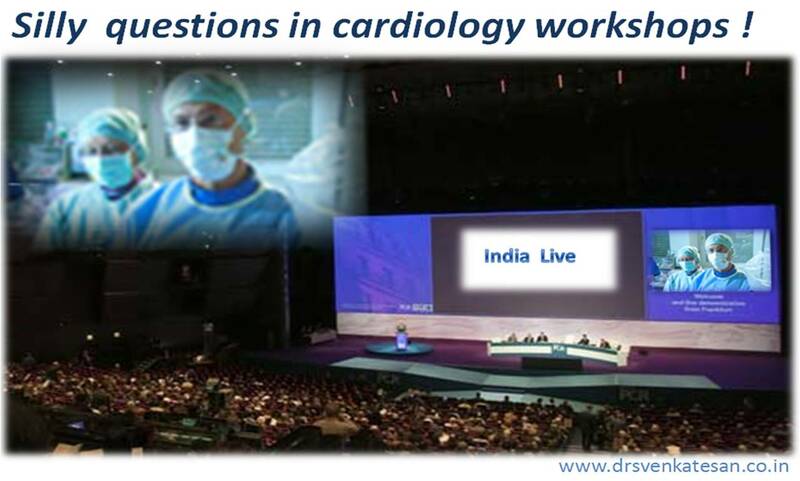 Everyone has a right to learn and if he (young cardiologist) felt to pose question like this, go ahead. He at least admit that he was not born already with a knowledge about the cardiology.